If there’s something I could do all day (besides building beautiful WordPress themes :)), it would be staring at gorgeous styled stock photography. Not only do we use styled stock photography for our blog, but we also use them on our Instagram, Facebook, and Pinterest accounts! We’ve compiled all of our absolute favorite places to grab styled stock photography. We have a lot…so we hope you enjoy! Affiliate link disclaimer: Some of the links listed in this post are affiliate links, meaning we may earn a commission if you purchase through those links. We only recommend products & services that we love and use ourselves, so we know you’ll be in good hands. Their images are extremely high quality. You can zoom and crop in many different ways without sacrificing image quality. Each image only has 10 copies of it available for purchase, so there is a sense of exclusivity. The Brand Builder Sets make it much easier to have a cohesive look on both your website and your social media accounts. From their site: As we have seen the “styled stock” concept become an overnight sensation we take pride in continuing to provide the most stunning, detailed, professionally styled and highest quality styled stock available on the market today. Elle from Wonderfelle launched a stock photo subscription that is affordable, unique, and obviously gorgeous. I subscribed to the Styled Stock Society to primarily use the images on our Instagram account. I love that the images are square cropped already, but there is also a variety of landscape and portrait images. Best of all, the styled stock photos fit in our feminine brand style. Related post: Check out these 8 unique ways to use styled stock photography to grow your brand! Haute Stock has styled stock photos for women entrepreneurs, bloggers and creative professionals. I subscribed to Haute Stock to use their images primarily on our demo site for our WordPress themes. I also love that they have a variety of flat lay images in addition to model images. From their site: We want to make it simple and affordable to add instant glam to your online presence. As a member of the Styled Stock Library, you’ll have access to hundreds of beautifully styled stock photos. You can instantly download the photos you need, crop and cut as needed, overlay your own text, and within minutes, have perfectly polished images to use on your website and social media. Rosemary Watson has options for purchasing a monthly stock photo subscription or individual stock photos. You can get access to over 500 stock photos by subscribing to the monthly package. 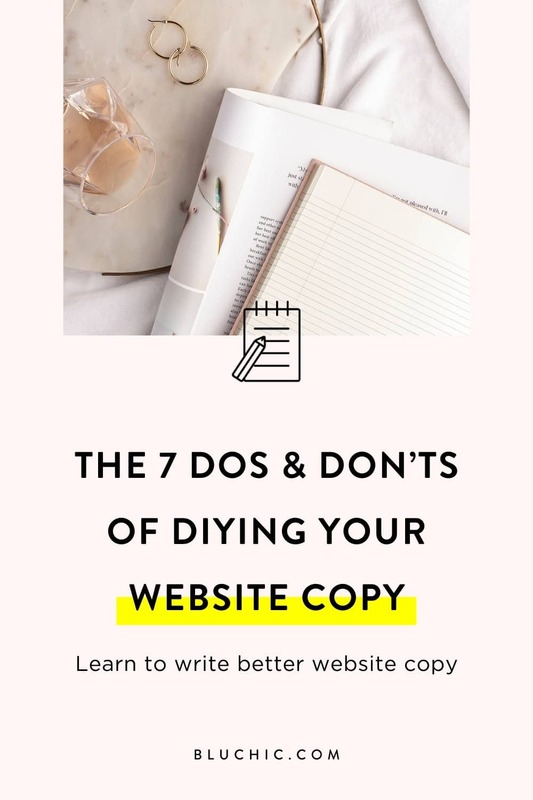 From their site: Are you that busy lady boss who always has a MILLION things on her plate, that you are staying up until the middle of the night creating content for your business? Content that you aren’t even in love with in the first place? And you spend what seems like hours scrolling through perfect looking Instagram Feeds or gorgeous Facebook Ads and want to know how in the hell they are so on point with their images?!? The Stock Brand Subscription is for you! Carmen Creative Shop is for you if your style is feminine and chic, and your favorite props are flowers, cupcakes & french macarons. Add color and bring beauty to your web site or next design project! From their site: Carmen Creative provides you with professional high-quality images that are beautifully styled and carefully edited. Step up your game and stay productive by choosing the right styled stock image in my shop that best suits your style or brand. They are sure to make your brand stand out + make you look attractive to current and potential customers! Missy Poppy Design specializes in branding for creative business owners and entrepreneurs, but they also have beautiful stock photos available for purchase. From their site: Miss Poppy Design Shop is boutique design studio where we design logos, brands, and website for inspired creative businesses and entrepreneurs from all over the world. Although we primarily focus on brand identity, we also offer photo styling, stationery design, packaging, social media design, marketing and more. Dear Miss Modern specializes in photo styling, brand development + marketing, creative direction and all around visual happiness. From their site: We specialize in logo design, brand identity and photo styling – and honestly, lots of other things (marketing, social media, consulting…). We love working and collaborating with businesses all over the world, and there is quite seriously never a dull moment over here. Made By Kasia creates stock photos for bloggers and business owners. From their site: Photography is my love since I remember. I’ve always taken photos of nature, landscapes and much more until I discovered product photography. How I discovered it? I used to create handmade cards. During taking photos of them, I saw that something was missing. I started to adding accessories and making compositions. I saw, it looks much better. And I discovered styled stock photography. I love to create unique compositions and carefully choose accessories. Why I do it? I do it for you, that you could use them and make your own composition with your product and create something unique in a minute. Twigy Posts began because of a lack of quality images to post on Instagram. Their number one goal is to create beautiful, affordable styled stock photos that help small business owners promote their brand online. From their site: Twigy Posts creates beautiful stock photos & mockups that help small business owners achieve a cohesive look online. If you’re looking for clean, white, and bright stock photos, look no further than White Hart Design Co.
From their site: White Hart Design Co opened early January 2015 to help small retailers, designers and artists look their best online through mockups, digital templates, branding and styled photography. Her Creative Studio gives you the creative tools you need to get noticed online. The vision is to grow into a valuable resource that will help women achieve all of their business goals. From their site: Her Creative Studio creates thoughtful, clean styled stock photography for creatives, shop owners, bloggers and women entrepreneurs who crave a fabulous brand but struggle to do it themselves. Chaitra, the creative geek behind PinkPot, launched The Creative Convex Shop as the go-to resource for all the visual needs of your business. From their site: I love capturing creative spaces following my design mantra of minimalistic with a pop of color. My main intention of launching #CCStockShop is to solve these problems for you so you can concentrate on what you do best, your art without having to worry about the visuals! Studio Chic Designs specializes in desktop image mock-ups for blogs and business owners alike. From their site: Studio Chic Designs offers styled stock images for blogs and business owners. We specialize in desktop image mock ups perfect for your everyday design needs. Use our styled images to promote your blog and website news, blog posts, announcements, and more! Professional stock photography can absolutely boost your business and help you bring in more revenue. For more styled stock photography inspiration, follow our Styled Stock Photography Pinterest board!